I swear that August is the very longest month of the year. 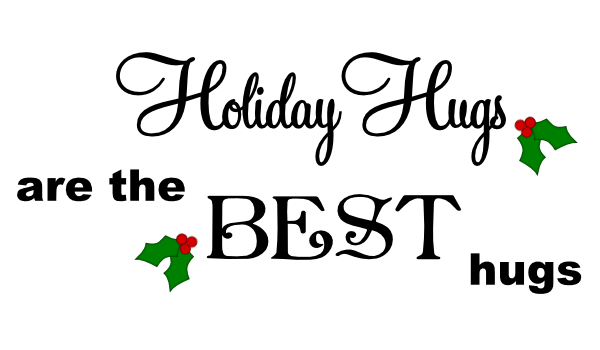 It is a miserable month and it seems to last and last… On a happy note, the kiddos finally go back to school next week. All doctors visits and paperwork are taken care of and they are good to go. I’m also good to go. I’ve already paid for some fitness classes and am really looking forward to some serious daytime “me time”. I’ve made a Back to School resolution to get back into shape. I hadn’t made any words for cutting lately (I was too lazy to cut vinyl for the summer theater fundraiser and did something else instead). I’m picturing this one on a door. Maybe I’ll cut it for the fundraiser next year. Click on the image to save a high resolution png image. 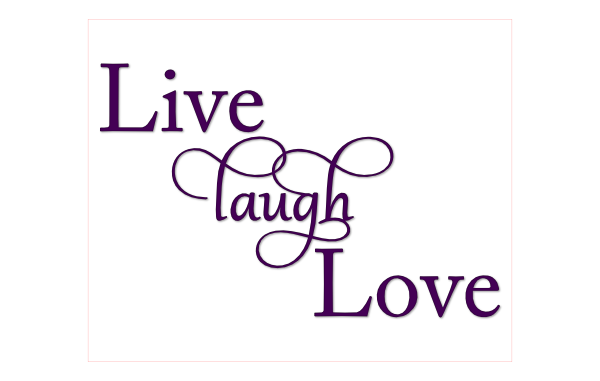 Here is a word art svg file by request. 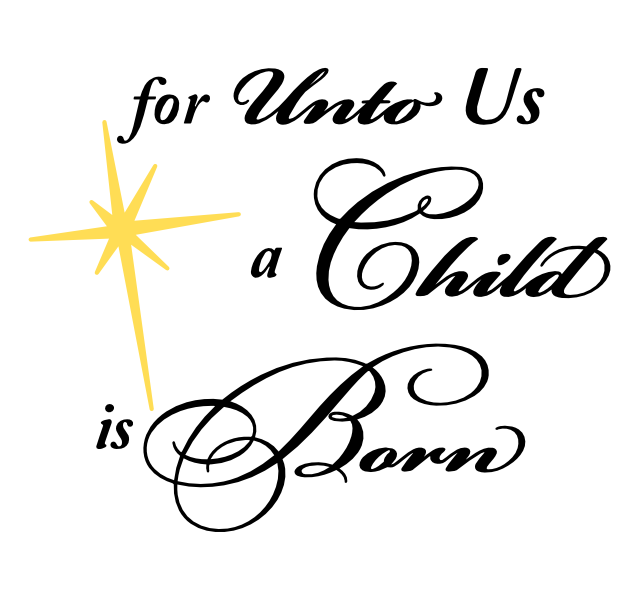 For Unto Us a Child is Born. 🙂 I did not create layers for this file since the recent versions of SCAL2 will import each piece into its own layer. 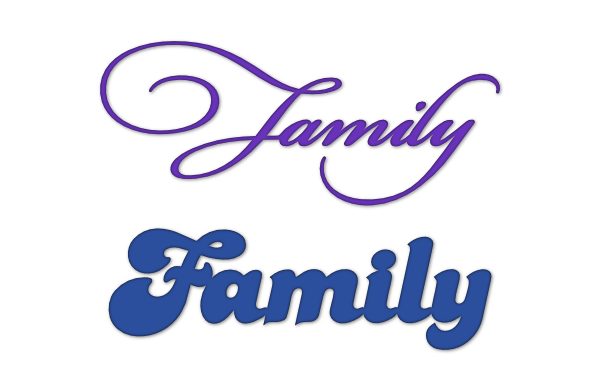 Here are two family title svg files that I made for my son’s Cub Scout Den but they would work great for so many things, especially this time of the year .